Welcome Architects, Engineers, Roof Consultants, Building Owners, Property & Facility Managers, Contractors-- dedicated to reducing energy and life-cycle costs. GET RID OF ROOF AND DECK LEAKS WITH ADVANCED TECHNOLOGY!!! Finally, science has a solution! 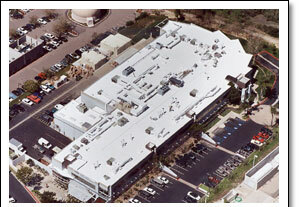 ACE advanced technology product line includes products for roof and deck membranes, exterior coatings, below-grade, drive-on coatings, lead and asbestos encapsulators, and hail-resistant coating.